We invite everyone to celebrate Earth Day with human-I-T by donating your old technology. Earth Day began on April 22, 1970 and is considered the beginning of the modern environmental movement. You can join us by donating old technology to human-I-T and help divert e-waste away from landfills. Our partners recognize the importance that technology donations have in our community and on the environment. Support your community this Earth Day and help us reduce and reuse through our technology drive. Everyday we work on connecting more low-income families, individuals, and other non-profits throughout Los Angeles. In the past 4 years we have tremendous progress connecting thousands of people to the internet with the goal to serve more. Your part is an essential role in preventing the harmful effects e-waste has on the environment. 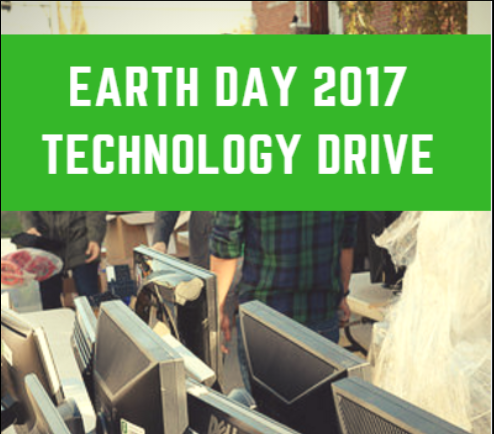 Help us this Earth Day by donating your old technology to those in need. Thank you to our partners for supporting digital inclusion efforts in our community.